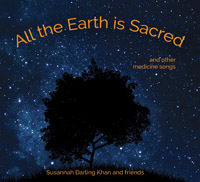 An anthem to the sacredness of all life on earth. This song is led by the children, who are joined by the women and then the men in a rising, passionate, beautiful crescendo. This song features Sarah Patterson's exquisite voice rising over everything, and Ya'Acov's prayer reverberating out for all of pachamama. All proceeds from the sale of this MP3 go to the Pachamama Alliance.